As CES 2019 draws to a close, we’ve taken a look back at some of the more unusual internet-enabled gadgets that turned heads on the show floor. From the beer-making LG HomeBrew to Kohler’s shockingly expensive Intelligent Toilet, the line-up at the CES tech expo this year was crammed with a typically bizarre array of tech that wants to make our lives better in some way. 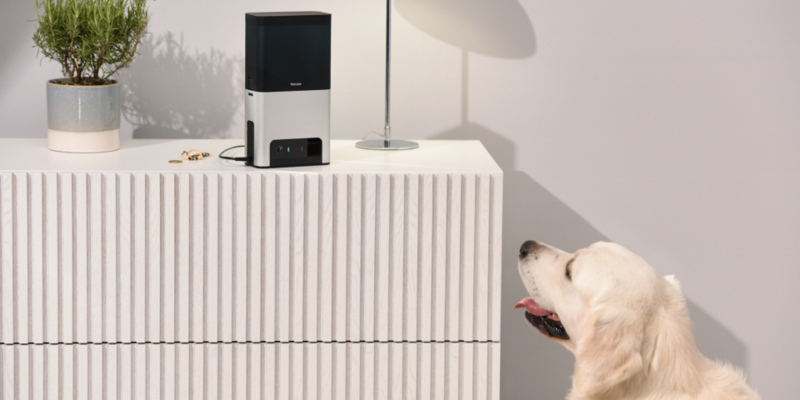 Below, we’ve got more details on unusual products from Kohler, LG, Mui and Petcube. You’ll also find links to the rest of our CES coverage, which includes a closer look at LG’s innovative ‘rollable’ TV. CES 2019 news – 8K TVs, smart headphones and stylish smartwatches. Designed with discerning beer lovers in mind, LG’s HomeBrew hops onto the capsule-machine bandwagon with a device that lets you enjoy a cold pint from home. The capsules in the machine contain malt, yeast, hop oil and flavouring, and at launch there are five flavours to pick from. The list includes an American IPA and full-bodied English stout. LG is claiming you’ll get up to five litres of beer from the HomeBrew after two weeks of brewing, depending on the type of drink you’re dealing with. Worried about the clean-up process? LG says the capsule-gobbling HomeBrew automatically cleans itself with hot water after each drink is poured. You can also use the free smartphone app to check the HomeBrew’s status at any time. Flaunting the title of ‘world’s most advanced interactive pet camera’ (yes, that’s a tech category now), Petcube lets you check on your four-legged friends while you’re away from home. 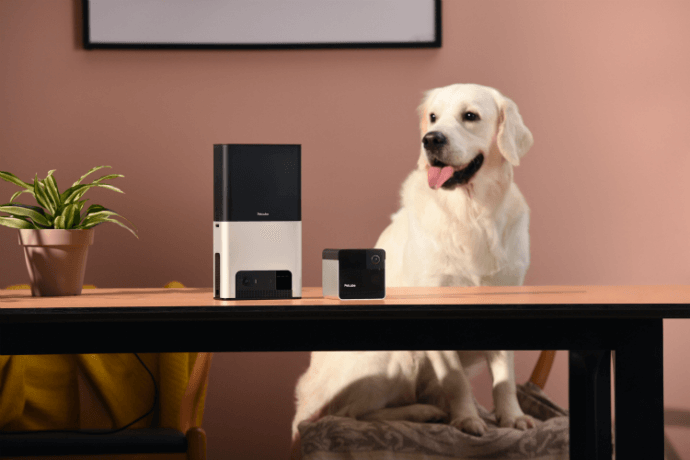 The Petcube Play 2 (£160) and Petcube Bites 2 (£200) offer 1080p HD video, 4x digital zoom and night-vision mode, along with support for the Alexa voice assistant so you can control other smart devices. Wherever you are, you can use your smartphone to have the square, internet-enabled gadgets chuck a treat to your pet. There’s also a built-in interactive laser toy to get tails wagging. The canine cameras are clever enough to tell the difference between cats, dogs and people, so you’ll get real-time alerts on your smartphone if the camera spots something suspicious. Petcube Play 2 and Petcube Bites 2 go on sale spring 2019. 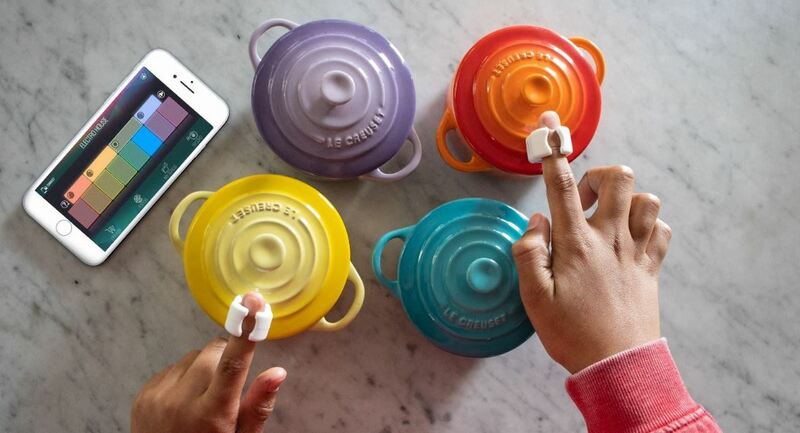 The company behind the Mui Calm Device have a problem with ‘everyone looking at their phones at the dinner table’. To sort the issue, it has rather bizarrely invented a smart wood panel. Bringing new meaning to the phrase ‘a chip off the old block’, it comes in a range of colours and is designed to hang on your wall. By swiping your finger across it or by using your voice, you can tell it to display a message, your calendar events or the weather over the coming days. If you own Philips Hue smart lights, the Mui can also let you dim the lights. Although the Mui was spotted at CES, it began life on crowdfunding website Kickstarter, where it has a September 2019 release date and a $999 price tag (around £785). A small price to pay for a phone-free dinner? 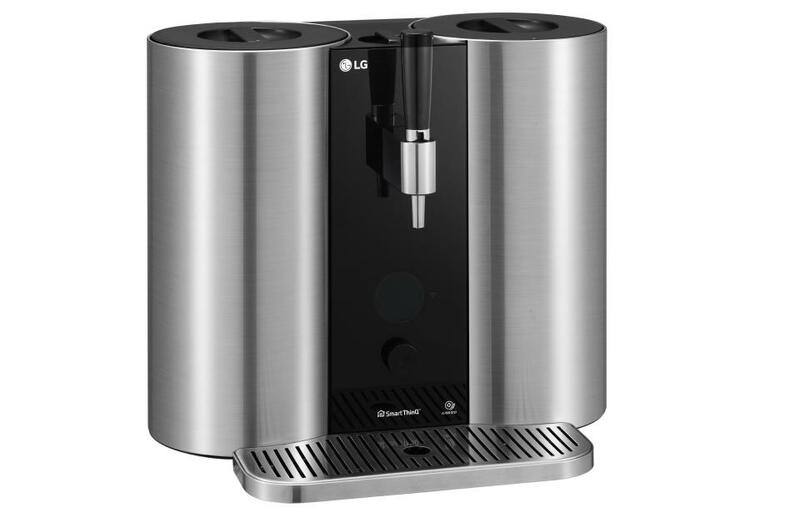 LG hasn’t just been making beer machines for CES. 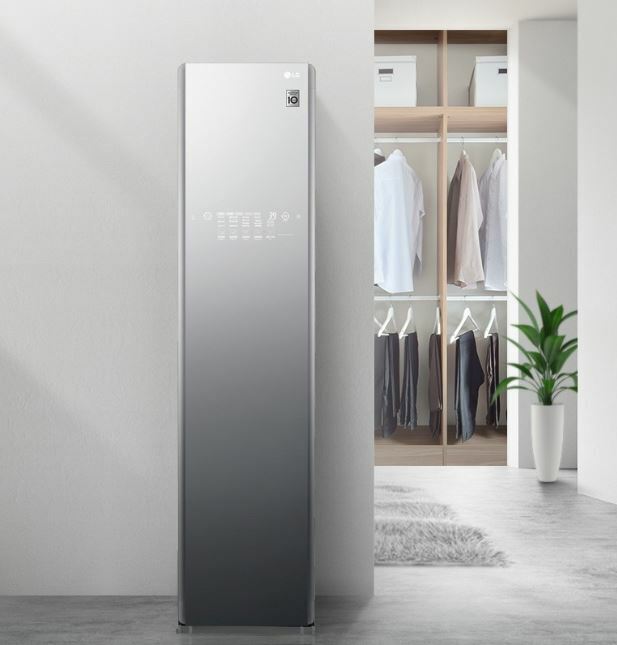 It’s also come up with the Styler, a smart cupboard that can steam your clothes automatically. Said to eliminate ‘over 99.9% of germs’, the LG Styler can clean up to four garments at a time. It uses LG’s TrueSteam system to deal with allergens and bacteria. The tech assistant has a black-tinted mirror glass door, and the moving hangers on the inside hold your clothes and help to remove wrinkles. The mirror on the front of the cupboard offers support for Google Assistant, so you can chat away to the Styler while you’re trying on a new outfit. There’s no official word on pricing at the time of writing, but estimates online land around the £1,500 mark. We’ve reached out to LG for more details. This potty invention isn’t coming to the UK as things stand, but we couldn’t write a guide on odd CES tech without including it. 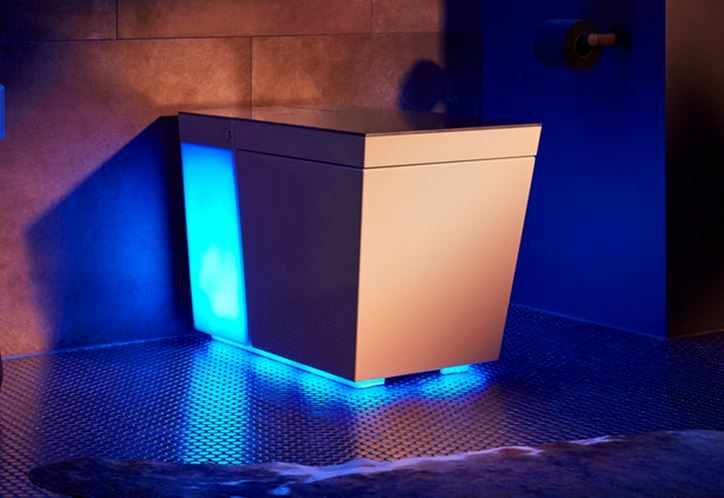 So what makes a toilet smart? For starters, there’s a heated seat, warm-air dryer, built-in night light, customisable surround lighting and an automatic flush system. But that’s not all. Like most new products at CES this year, the Numi 2.0 Intelligent Toilet has voice command support. That means you can use the Amazon Alexa voice assistant to quiz your loo on the latest news headlines and traffic conditions. It can play your favourite music, too. Brainy bogs don’t come cheap. The white version has an estimated price of $7,000 (£5,500), while the black model is even more expensive at $8,000 (£6,300). The Numi 2.0 goes on sale at the end of 2019. £100 might seem steep for a sleep mask, unless you sleep with someone who does a passable impersonation of a freight train in the dead of night. 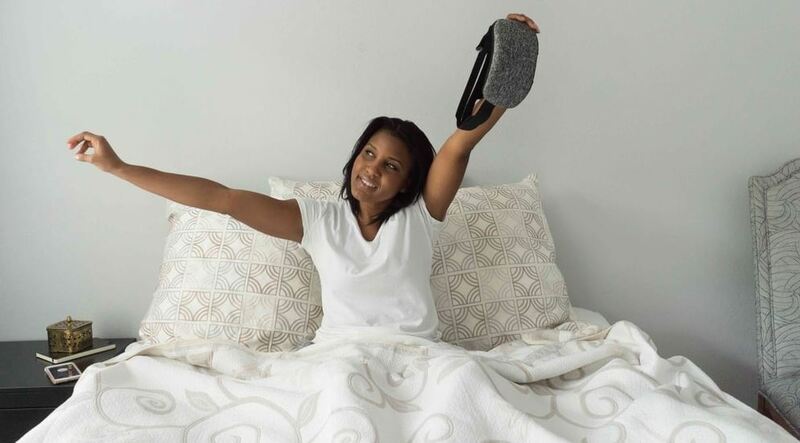 The Hupnos sleep mask is designed to detect, track (and hopefully eliminate) snoring by working with an accompanying smartphone app. When the adjustable mask detects snoring, it vibrates to encourage you to change positions and open your airways. The smartphone app gathers data and gives you an overview of your sleeping habits. You’ll even get sound recordings of your snoring. If you fancy giving the Hupnos sleep mask a go, it’s available to order right away via Indiegogo. 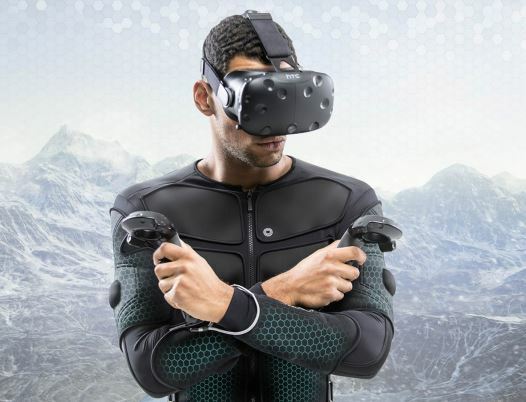 Keen VR gamers who want a truly immersive experience might want to try the Teslasuit. This wearable gaming accessory is ‘the world’s first smart clothing apparel that includes haptic feedback’ – in other words, you’ll physically feel things that happen to your character in-game. Built-in climate control technology means you’ll also experience different temperatures inside the suit on your adventures, whether you’re navigating across a desert or zooming down a ski slope. The price of the Teslasuit is yet to be revealed, although we suspect it won’t come cheap. Alongside the suit itself, you’ll also need a separate VR headset and controllers to play. Aimed at children with an interest in music, Sphero’s Specdrums assign musical notes to different colours. You open up the accompanying smartphone app, put a ring on your finger and tap objects to create a unique tune. Order the Specdrums and you also get a fold-out mat that has various colours on it, but we reckon there’s more fun to be had using random objects to create your masterpiece. A single ring is £50, or you can get two of them for around £80. Women’s clothing brand Soma has shown off the new Innofit bra, a handy sizing assistant that aims to make clothes shopping a bit easier. Measuring wires built into the bra communicate with a circuit board found on the back, which sends information to Soma’s smartphone app. With all the measurements confirmed, the app can then recommend clothes that offer the perfect fit. Want to re-enact your favourite scenes from Star Wars at home in your living room? Take a look at this, you must. 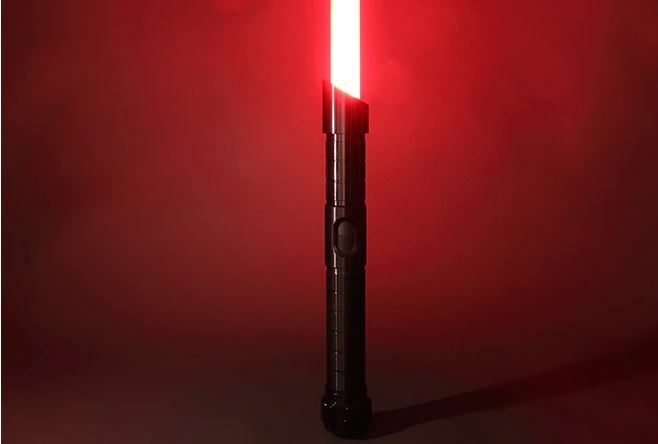 Demoed at CES this year, the WAAN is the first ‘fully-connected lightsaber’, and it’s due to go on sale at the end of 2019. The WAAN is arguably the most realistic-looking lightsaber yet, comprising ‘high quality materials’ and built with input from a professional swordsmaster. The gadget, designed in France, also generates sound effects in real time. By downloading the WAAN app, budding Jedi masters can choose from thousands of lightsaber colours, and an entire library of sound effects. Our team of tech experts have been keeping an eye on the biggest announcements to come out of this year’s Las Vegas event.